Hi all! Today I thought I would revisit one of my favorite cards from a couple years ago, a fused shaker card with vellum inside. 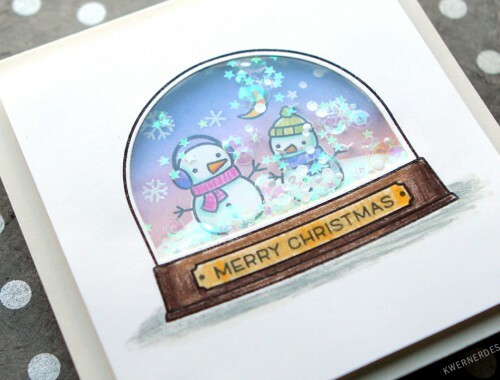 I just loved the dreamy quality of the vellum inside the clear plastic. In the original card, I used some printed vellum. 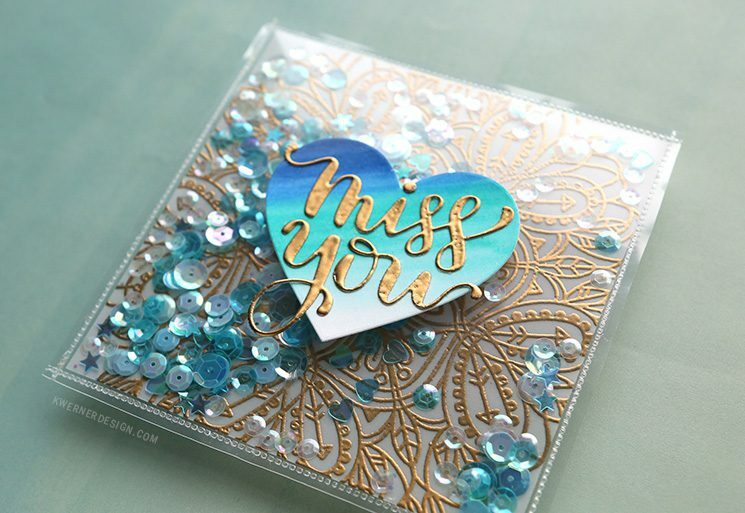 But since I didn’t have any this time around, I stamped the Emma Background stamp from Simon Says Stamp in VersaMark onto the vellum and then heat embossed using my favorite gold embossing powder from Wow. Then I placed the embossed vellum piece inside a small photo sleeve and use the Fuse Tool to seal off three sides. I filled the pocket with some sequins from the Ocean Sequins mix, and then sealed up the remaining side with the Fuse Tool. 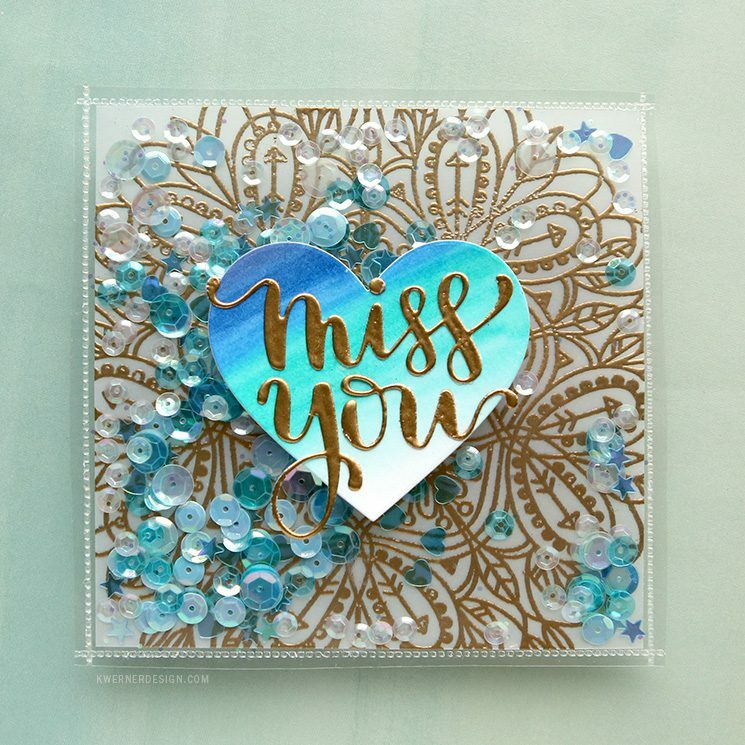 To finish off the card, I watercolored with Zig Clean Color Real Brush Markers on Bristol Smooth paper and then die cut it using the Nested Hearts die set from Simon Says Stamp. I also cut out a white heart for the back of the card (where the message to the recipient will be). 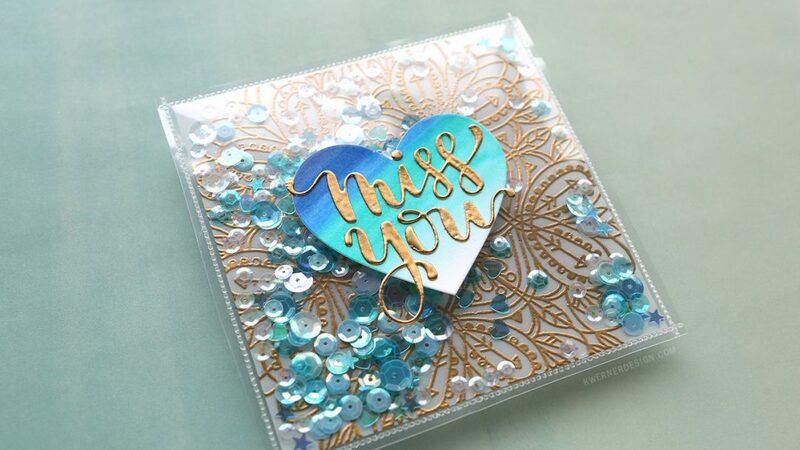 The “Miss You” words were cut using the Miss You die set from Simon Says Stamp and then heat embossed using the same gold embossing powder that I used for the vellum piece inside the pocket. 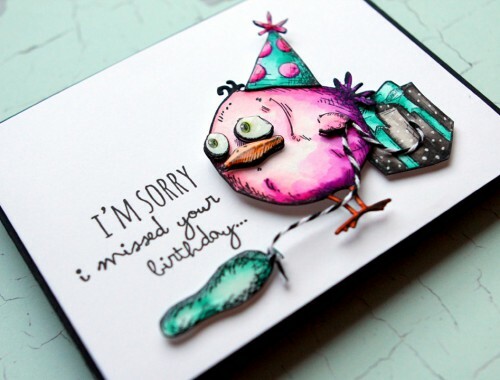 I hope you enjoy today’s card! See you soon!